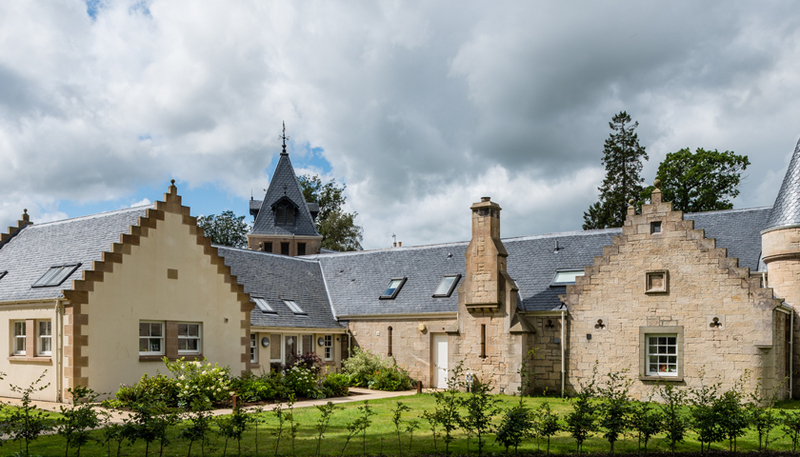 Cupa Pizarras roofing slates chosen for an inspirational redevelopment project ..
CUPA PIZARRAS has been specified for the historic Camphill Blair Drummond site. In keeping with the area’s heritage Heavy 3 slate was chosen for six stunning homes for day students and residents; due to its desired aesthetics, durability and flexibility. Located in the outskirts of Stirling amongst rolling hills and exquisite Scottish scenery, Camphill Blair Drummond provides a warm, friendly and home-from-home living environment for young people with complex learning difficulties. With the traditional setting, it was imperative that a roofing slate was chosen that could fit in with the historic design of the buildings. CUPA PIZARRAS’ Heavy 3 is popular in Scottish heritage areas due to its resemblance to Ballachulish, the time-honoured blue-black slate. This appears on many older buildings but is no longer quarried in Scotland.